Through millions of years, water and wind created unique red and white sedimentary rock formations on the Colorado Plateau in southwestern Utah. In the 18th century, Mormon pioneers settled near the formations, which they thought reflected the majesty of God. As a result, they called the area the “Heavenly City of God” or “Little Zion.” They named one formation “Mount Moroni” after the angel they believe appeared to Joseph Smith, their founder, and named “Kolob Canyon” after the heavenly body LDS members associate with God. In 1916, a Methodist minister from Ogden, Utah, described a massive flattop formation as the “Great White Throne” of Revelation and the name stuck. A lower formation nearby then became known as “Angels Landing.” Someone called a row of formations across from Mount Moroni “The Three Patriarchs” in honor of the Biblical Abraham, Isaac and Jacob. Continuing the theme, other formations became known as the “Pulpit,” “Organ Pipes” and the “Altar of Sacrifice.” In the spirit of ecumenism, the “Temple of Sinawava” was named for the wolf god of the Paiutes, Native Americans who once lived in the area. Ironically, the Virgin River that created the canyon running through the area does not have a religious significance. It was named for Thomas Virgin, the first European to see it. 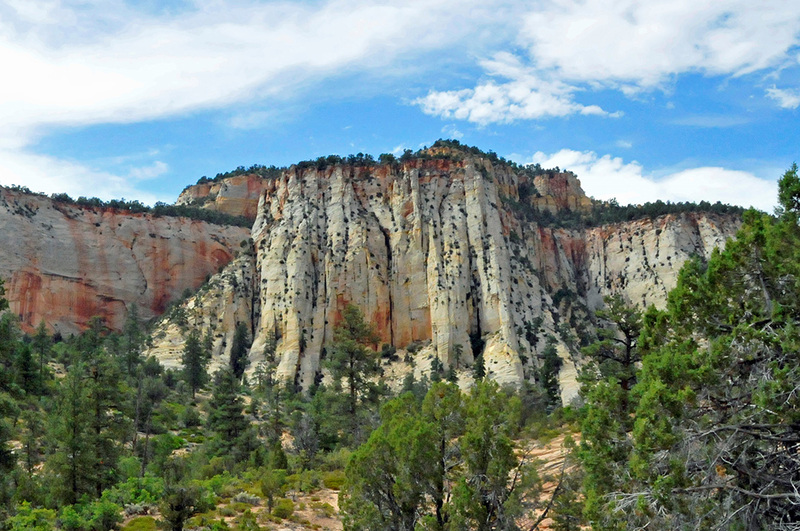 In 1919, the collection of rock formations with the religious names was designated a national park and named Zion, a Biblical term initially associated with the Jewish Temple in Jerusalem. Visited each year by 3 million people, Zion National Park is second to Salt Lake City’s Temple Square as Utah’s most popular destination.